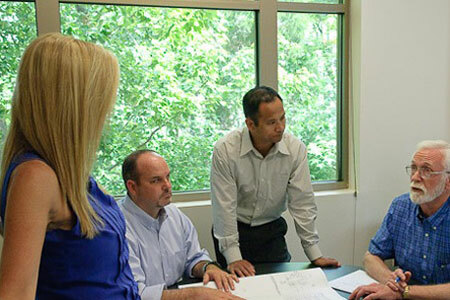 Culture | Engineered Designs, Inc.
At Engineered Designs, Inc. our strength is in our Teams. We currently have four (4) design teams, a commissioning team, and two construction administrators. Each team contains a Team Leader - who is the primary contact - and supporting team members in other disciplines-Mechanical, Plumbing, Electrical, Fire Protection, and Construction Administration. This team follows the entire project from kick-off through design and construction. Our Team Concept allows for a fluid design process as well as consistency in communication, schedule adherence, and deliverables. This approach proves effective in maintaining continuity throughout the life of the project.